Randolph College has once again received national recognition for its efforts to engage the campus in enhancing pollinator habitat both on and off-campus. Bee City USA® has renewed Randolph’s Bee Campus USA certification for 2018 following a rigorous renewal application process. The Bee Campus USA designation recognizes educational campuses that commit to a set of practices that support pollinators, including bees, butterflies, birds, and bats, among thousands of other species. Randolph became the first college in Virginia to receive Bee Campus certification in 2016. As part of the recertification process this year, Randolph’s Sustainability Council submitted a report on the College’s progress in improving the campus pollinator habitat. In 2016, the United Nations reported that 40 percent of the world’s 350,000 pollinator species were at risk of extinction. Bee City USA is a national nonprofit organization that galvanizes communities and institutions of higher education to sustain pollinators by providing them with healthy habitat, rich in a variety of native plants and free to nearly free of pesticides. 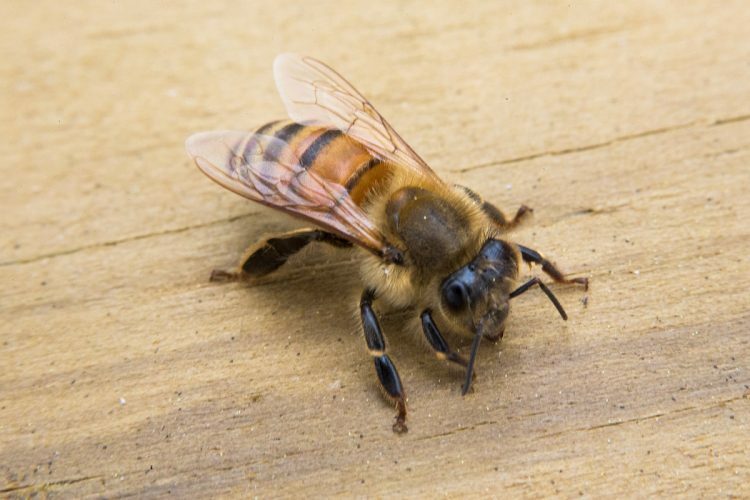 Imperiled pollinators like honey bees, bumble bees, butterflies, moths, bats, hummingbirds, and others are responsible for the reproduction of 90 percent of the world’s wild plant species and one in every three bites of food we consume. For more information about the Bee City USA organization, visit www.beecityusa.org. Read the full report about Randolph College’s Bee Campus efforts at http://reports.beecityusa.org/bee-campus-usa-reports/randolph-college-lynchburg-va-2017-annual-report/.